The impossible has happened. Somehow a manga other than One Piece was my favorite manga of this week. I didn’t think it possible, but One Piece was just the right level of “Okay” and Nisekoi was just the right level of “really, really funny” that it managed to beat One Piece. Who knew? It really is possible. Oh those rascally Uchiha. And here I thought I was supposed to feel some kind of sympathy for one of them. Well, if that was the case then I have to confess it didn’t work. Madara’s turning against Hashirama was exactly what I’ve come to expect from practically every single Uchiha character. I will say, though, these past few chapters have endeared Tobirama to me more and more. I think I’ll make some kind of pin or badge with the catchphrase “Tobirama was right” on it. Literally every single time he’s said someone should be killed, he has been completely right. Had he just killed Madara there? Everything bad that happened to Konoha never would have happened. Sure Hashirama makes his excuses, but if what Madara said is true, and the Uchiha clan was basically broken, then killing him would have been completely the right choice. 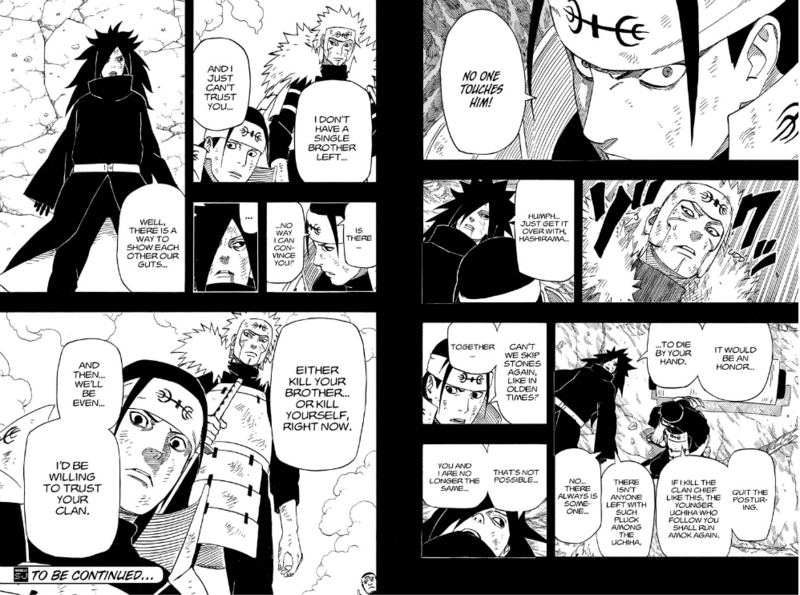 Not a lot has really happened in these past seven chapters. The biggest problem with this chapter is that once again it’s nothing but talking, and talking, and talking about things that I as a reader barely understand. The learning curve is steep in this series, and while I don’t like being babied by a story, a bit more explanation as to what the deal is with the Neighbors and Border would be nice—except when the explanation is half a page with a diagram explaining that rank A is higher than rank C. I know that many Japanese are not quite proficient in English, but all it takes is a working knowledge that English is in fact a language that exists to grasp this very simple concept. While this week’s chapter of One Piece was good, it was just a level or so below that of the preceding chapters—not for any fault in the chapter, but mostly because nothing really stood out. We already knew about Ace’s fruit, so that wasn’t a big reveal. And I find it a bit worrisome that we seem to have the makings of a tournament arc—a staple of shounen manga that One Piece has avoided over the course of more than a decade. If Oda decides to do a tournament arc, I believe he will make it entertaining. Or he might make it very short, like Shimabukuro did with Toriko. 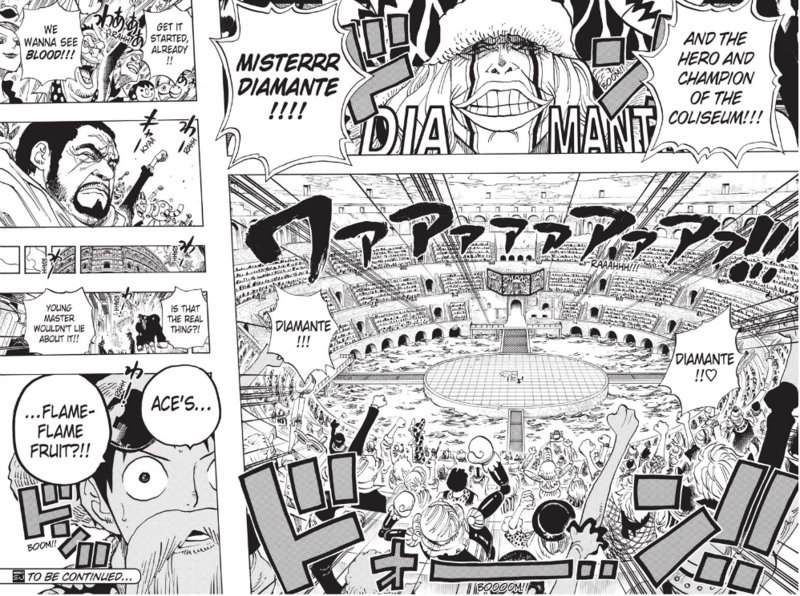 Still, I would very much prefer if Oda stayed far, far away from the tournament arc cliché. How can a chapter be so funny, and so gut wrenchingly heartbreaking at the same time. 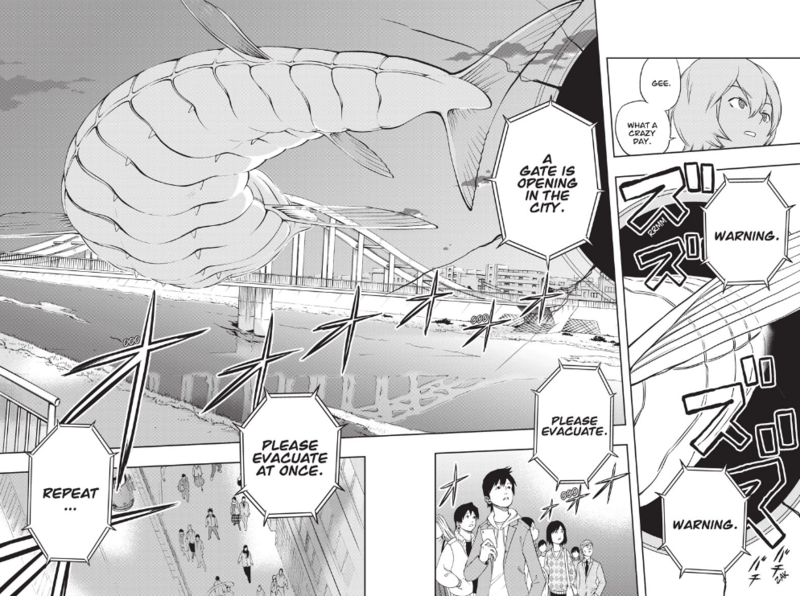 I was laughing throughout the entire chapter, up until Onodera trips. That last page is so heart wrenching specifically because it downplays the emotional impact. There are no streams of oddly globular tears, in fact there are barely even tears at all. For a series that gets most of its humor out of over-the-top expressions—many seen in this chapter alone—Onodera’s face on the very last page is one of the saddest things I’ve seen in manga for a while. Because Toriko employs the omniscient narrator so often I think it’s safe to say that Tommyrod is in fact bug food. I was right in that this was the last chapter dealing with that fight, but after most fights in Toriko ended without any lethal blows being landed, it comes as a shock to see a fairly major antagonist die. And with the introduction of Neo I think it’s safe to say that Shimabukuro intends to have the Gourmet Corp be dealt a heavy blow—one that will set them back quite some time. I was worried that this was far too soon for such a major confrontation, but the introduction of a second antagonistic organization, one that has flown under the radar but been well foreshadowed, shows promise. Shimabukuro most likely intends for the Gourmet Corp to be out of the picture for a while, and he has another antagonistic group ready to pick up where they left off. 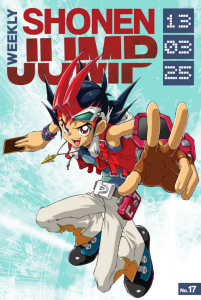 Once again it’s a bit of a shock to be reminded that this series is actually a sports manga. I liked the anecdote about the Celtic’s match, especially with how it tied into Sakurai’s plan to defeat a team significantly stronger than them. I do get the feeling that this match will be the final confrontation, and that Cross Manage is not much longer for this world. Which is a shame, I would have liked to see this series stretched out over a few more chapters. There was so much more character development I wanted to see for the other girls. Maybe we’ll get lucky, but we’ll have to just wait and see. Goku is an odd character. He’s the archetypal foolish protagonist, but there are times, such as in this chapter, when we see exactly how foolish he really is. Or perhaps it would be better to use the word gullible. Either way, whichever word you prefer, he shouldn’t have let go of Raditz’s tail. Surprising no one, turns out Raditz is lying scum who is perfectly willing to murder his own brother. Though, considering that they don’t actually know each other, I can assume that the bond of brotherly love hasn’t exactly had much time to be forged. Confession time, again, I didn’t really read this chapter. Well, I did skim it, but I didn’t get much out of it. While the domestic scenes were fun enough to skim, I was distracted by how outlandish the art style is. Somehow it manages to be ludicrous while still being art of the most commercial grade. While I wasn’t invested in the conflict later on in the chapter, I was amused by how the big source of conflict was dealt with within a few pages. And that wraps up this week. If you have any comments about this week’s chapters please leave them below. If you want to praise my insight, leave a comment below. If you want to call me out for the hack that I am, the button to close this tab is up on the top. If you want to hear more, check out the Manga^3 Podcast Archives. 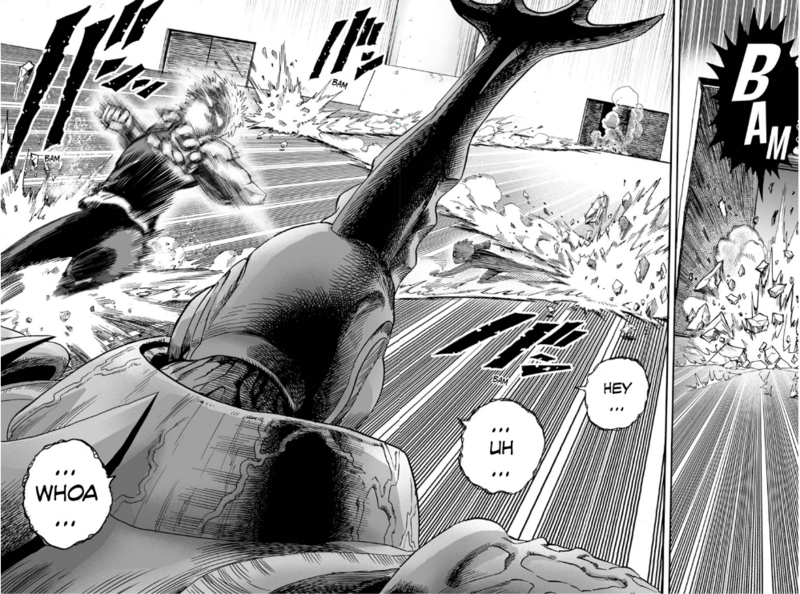 Or go directly to last week’s episode, Episode 040 – March 18, 2013 – How Batman Improves Any And All Manga | Toriko Vol. 2.